A rendering of The ARK at JFK. 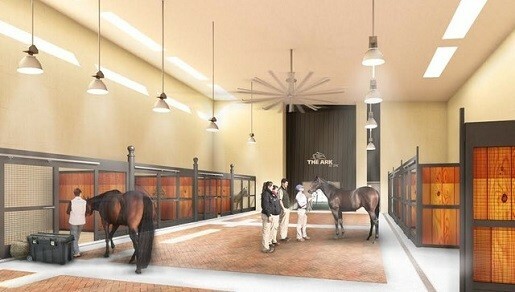 A $48 million expansion is coming to JFK to facilitate the comfort of horses and pets traveling. The affiliate of Racebrook Capital is bringing the 178,000-square-foot state-of-the-art animal handling and air cargo facility to life. 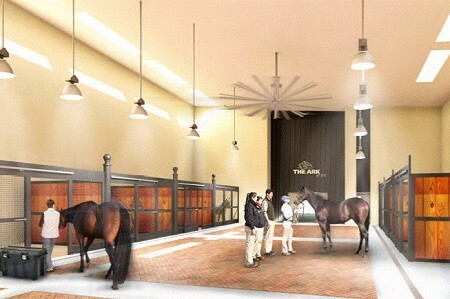 It will be the world’s only privately owned animal handling cargo terminal and USDA-approved, full-service 24-hour airport quarantine facility for the import and export of horses and other animals. The ARK at JFK will be constructed at the current site of Cargo Building 78 at JFK, with 14.4 acres of surrounding ground area. It will be divided into three complementary sections: the air cargo wing, a central administrative and business center with 24-hour veterinary hospital, and the main animal handling facility with pet boarding, animal import and export center, and livestock export handling system. 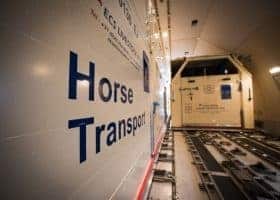 Horses waiting for export will have access to comfortable stalls, food, and water to reduce stress levels, according to those associated with the project. The ARK at JFK is targeted for an opening date in the first quarter of 2016.